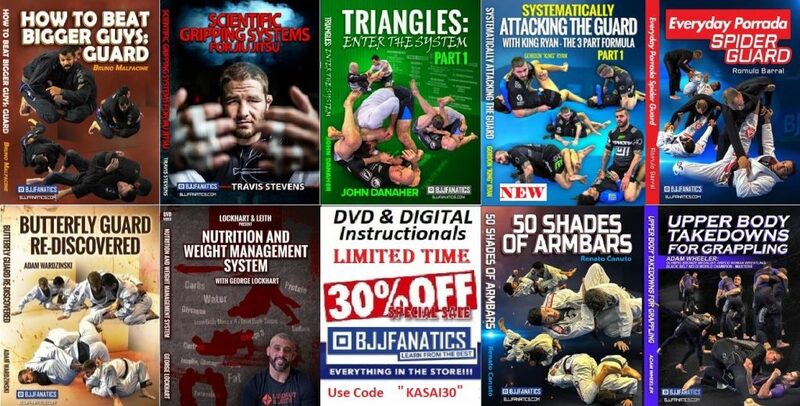 What is the one joint that you absolutely can’t train BJJ without? Well, ok, there are two of them, if we’re being precise. If you manage to injure an ankle, elbow or a wrist, you’ll still manage to at least drill in a way that keeps the injured joint out of harm’s way. You can even train around some spinal injuries, although that’s not advisable. 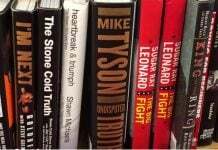 However, if you injure a knee, or God forbid, both of them at the same time, you’ll be hard pressed to find an effective way to train. On top of that, recovering from knee injuries on the knees takes time and careful planning. . And if you’re serious about staying injury free, nothing but the best BJJ Knee Pads should be on your mind and shopping list. As far as the absolute best BJJ knee pads s go, we’ve got you covered. 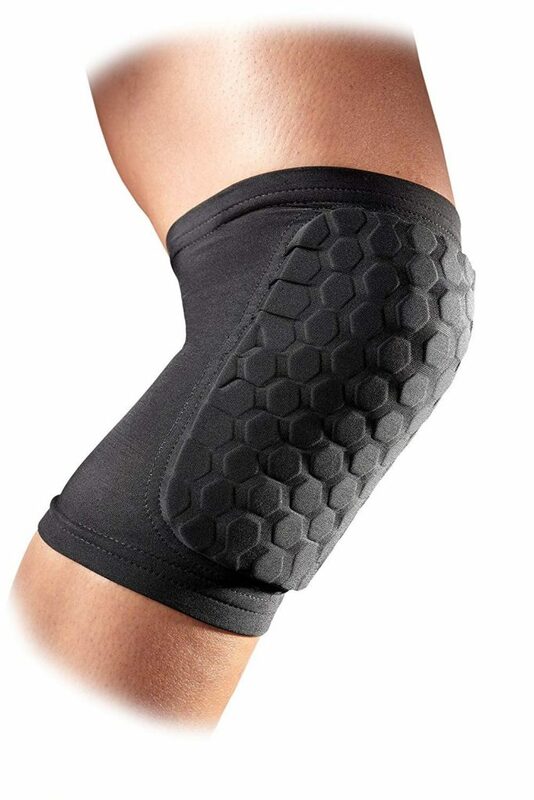 The most comprehensive guide for your supportive knee gear shopping in 2019 is below. In cases when you’re looking to prevent knee issues, or even more importantly, are coming back from one, knee pads should be your best friends when stepping on the mats. But acquiring such gear is not an easy thing to do. First, you need to know what it is exactly what you’re looking for. Next, you need to know which type of knee support you need for a specific situation. After all, the knees get a lot of stress during grappling training, and you need to take proper care of them in the long run. 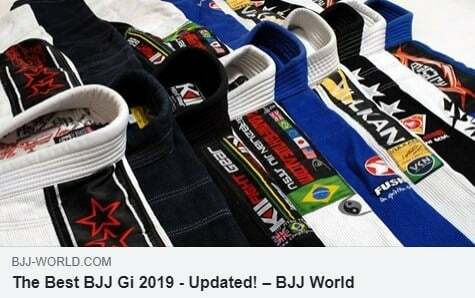 Let’s now take a look at the best BJJ knee pads that are a great fit for any grappler. Some of the products featured below are for overall use, while others are very specific. One thing is for sure, they all work and are going to provide you with maximal knee protection an support. Take it from someone who has knee issues and is currently recovering from a serious ligament and muscle injury on one knee. I’ve at least tried most of the products on the list and am, in fact, still using one on a regular day-to-day basis. The Bodyrox Protective Knee Pads are ergonomically designed, high-quality knee pads perfect for grapplers. Highly comfortable and very breathable, these are definitely one of the best BJJ knee pads ever made! The best thing about them is their price, as they come extremely cheap for such a high-quality piece of gear. 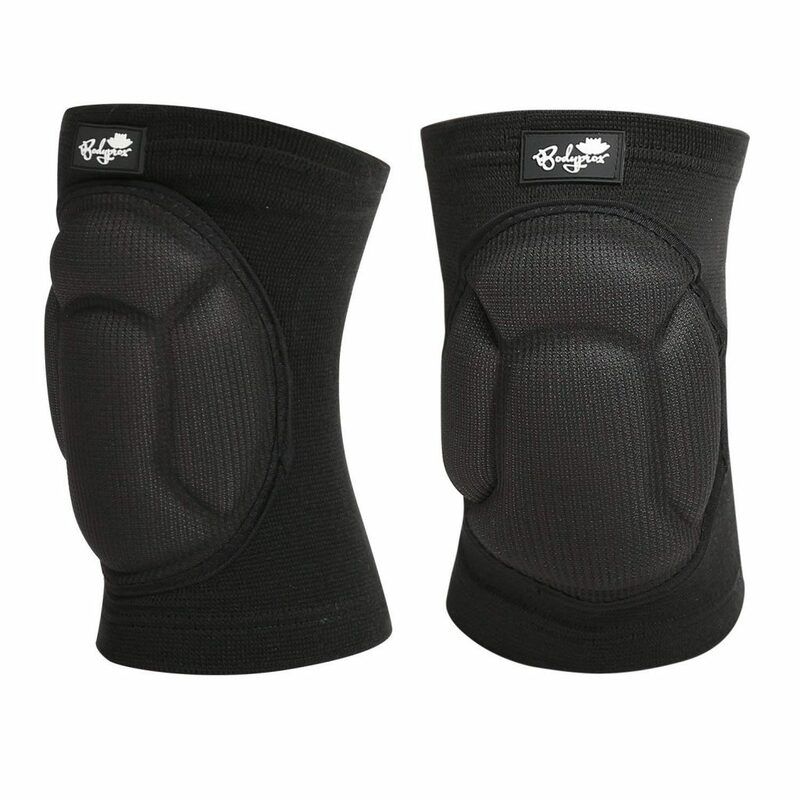 These protective knee pads come in a pair, with two sizes available and in black color. The material they’re made of is 45% polyester, 25% rubber and 30% EVA. This makes them really soft, yet virtually indestructible. They are mainly useful for preventing mat burn, as well as any issues with the patella or arthritis. They feature good elasticity, quick-dry technology and a big range of motion. the only drawback is that they offer no lateral or rotational stability, so people with ligament damage might need to look into some of the other suggestions on this list. Money back guarantee included. 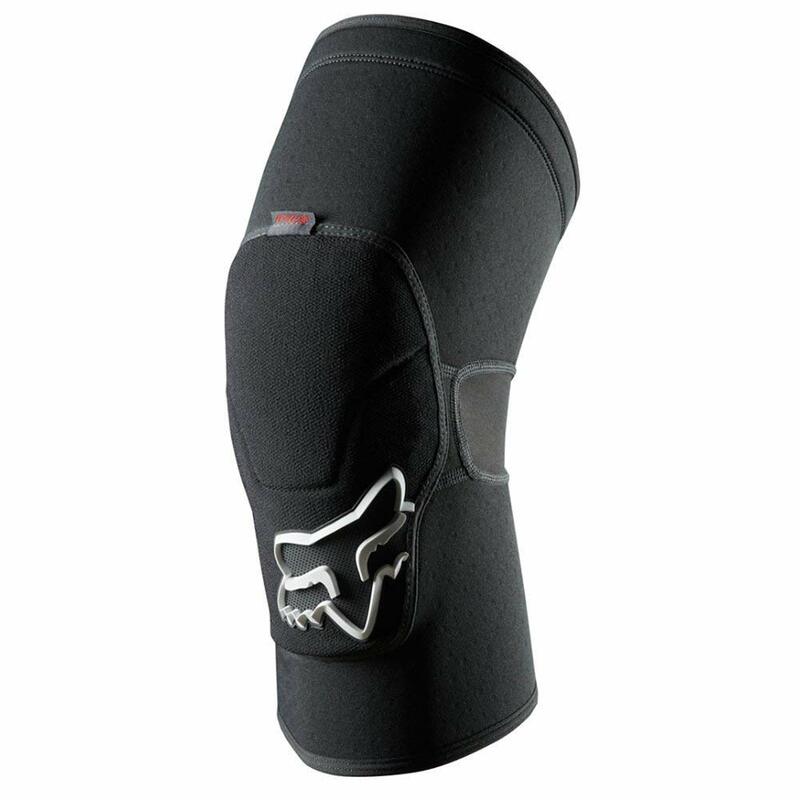 The Fox Head knee pads are another option people with general knee issues or discomfort might consider. They’re similar to the BodyRox, apart from a few noticeable differences. It is a product that is especially good for grapplers as it offers great control. Certainly among the best BJJ knee pads out there. The Fox Head knee pads are silicone based, and their main avenue of protection is against abrasions. They’re made from neoprene and features state-of-the-art technology that guarantees comfort and protection. They are slightly longer than the Bodyrox, thus offering added compression and improving blood flow. They also feature a silicone gripper that ensures the pads stay firmly in place. The Fox Head pads come in 5 sizes, from small to extra large. The fit is quite tight, so consider acquiring a larger size. Comes in the color black. 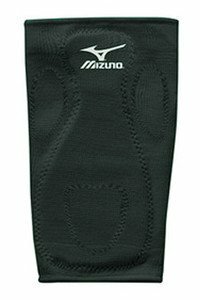 The Mizuno BJJ knee pads are slide-on knee pads made out of a specific blend of cotton, polyester, and spandex. Although very simple by design, they offer huge protection and great compression. This pad is actually a very well rounded one, offering dynamic overall protection. What sets the Mizuno Slider Pads apart from others is that it offers immense front protection, while also offering lateral and rotational stabilization. This makes it one of the best BJJ knee pads for any occasion, including grappling competition. It is also a perfect fit for those coming back from ligament or meniscus damage injuries. The material is breathable and dries quickly, plus has moisture-wicking properties. Comfortable and durable this pad comes single and can fit both left and right. This is where we get really serious. The VIPER grappling compression sleeves are truly some of the top products you can get for knee support. These are knee pads that extend significantly both upward and down, providing extra support for adjoining muscles. The drawback of this particular knee pad is that it is not a good fit for ligament injuries, as there’s no added lateral support. Apart from that, if you’re looking for a solution for meniscus or patella issues, tendonitis, arthritis or abrasion protection, there’s hardly a better option. The VIPER sleeves are flexible, durable, feature a non-slip silicone strip that holds them in place. Hyperflex technology means they conform to your knee offering maximal comfort during movement. They also provide temperature regulation and support blood flow. There’s one black knee sleeve in the package, able to fit both legs. This is where we stray a bit from the usual slide on knee pads and go a bit old-school. While knee wraps are not as common today, these are certainly apart of the best BJJ knee pads category. Their main advantage is that you can use them to individually strengthen any lagging part of the knee. 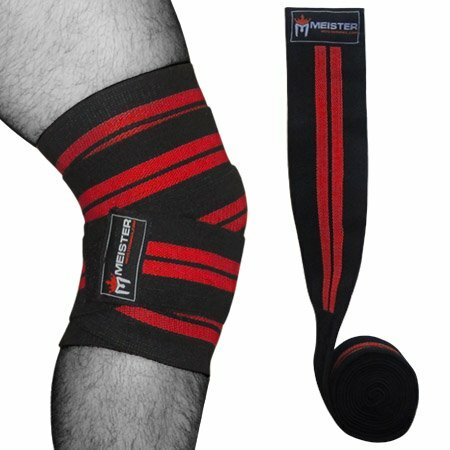 The way the Meister Knee Wraps work is similar to wrapping your hands for striking practice. The wraps are 72″ long and 3″ wide. They come in a pair, so you can wrap both your knees. The closure system is a hook and loop one, thus making sure everything stays in place even during crazy scrambles. Heavy duty elastic material means you can move freely while having the ultimate support for any knee issue. The way you wrap them will determine where the majority of support goes, according to individual needs. Multiple colors are available. 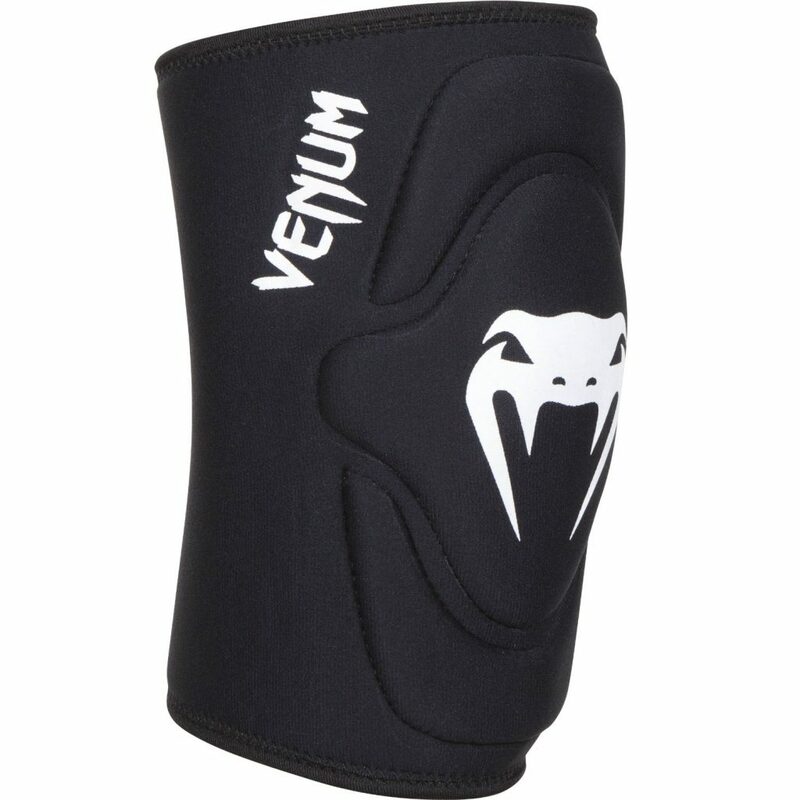 IFf there’s one product on this list that’s made by grapplers for grapplers, it is the Venum “Kontact” Knee Pads. 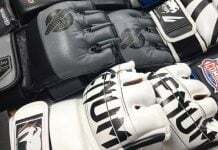 An absolute champion even amongst the best BJJ knee pads, the Venum Kontact” pads are as comfortable and unrestrictive as possible. These pads wrap around the entire knee, offering 360-degrees protection, even when practicing from weird positions. Designed for BJJ, they fit perfectly under Gi pants, offering maximum mobility. The anatomical design allows for high impact absorption and high-grade abrasion protection. There are strategically placed are vent holes for maximal breathability. Comes in 5 sizes and half a dozen colors and different designs. Washing machine friendly and extremely durable. Come as a pair. Shock Doctor is one of those brands that you know has something top shelf to offer in every department. 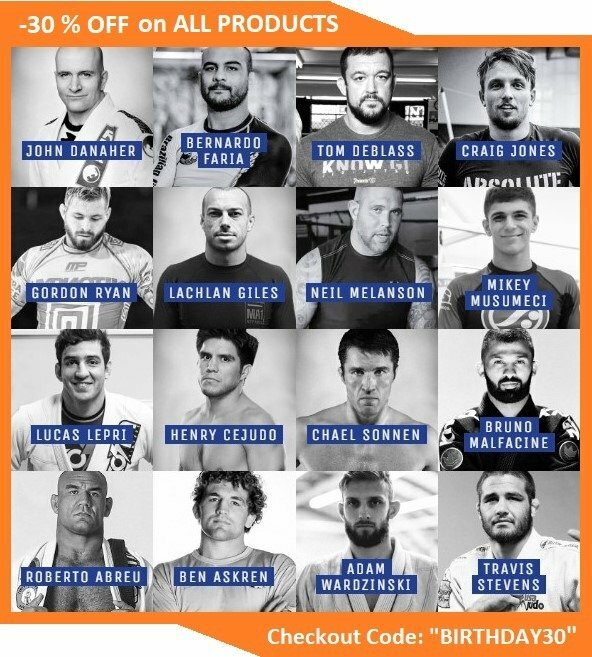 Although grapplers know them mostly due to their BJJ mouthguards, Shock Doctor excels at just about every other type of protective training gear. And this includes knee BJJ pads. 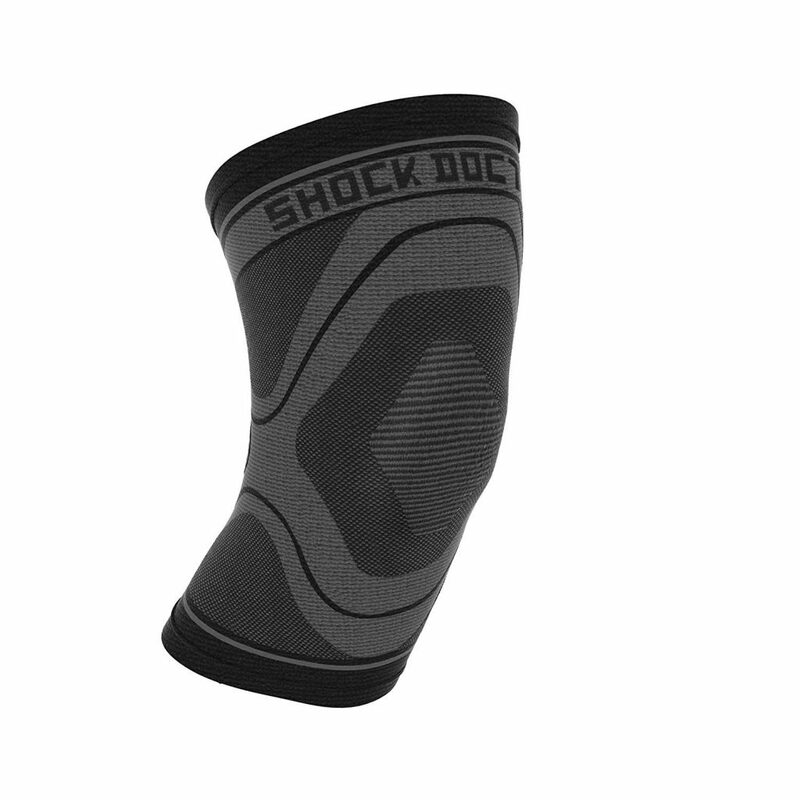 The Shock Doctor Knee Support Sleeve is a compression sleeve, turned knee pad, turned knee brace, of sorts. It is an all in one product that’s going to keep your knees safe during grappling. Moreover, it comes in two different versions – a light support one and a version with a special gel-filled pad for the front of the knee. This knee pad helps with tendonitis, patella trouble, meniscus tears, bursitis and also helps immensely in preventing knee injuries. The targeted gel distribution means they take a lot of pressure off your knee, making all activities much easier. Comes individually and in 5 sizes. Made from Neoprene. The Cliff keen Wraptor is a lycra knee pad that is now available in a much improved 2.0 version. This knee pad is perfect for anyone looking to p[rovide their knees with a bit more support during Jiu-Jitsu. It is also one of the cheapest knee pads that are actually quality anywhere in the world! The Cliff Keen Wraptor 2.0 knee pad has a sleek profile and is one of the most comfortable knee pads available. It has stretch mesh panels on the back that allow it to conform perfectly and ensure mobility and stability. Wraparound anatomical padding means you’ll be able to absorb impact as well as have increased lateral support. 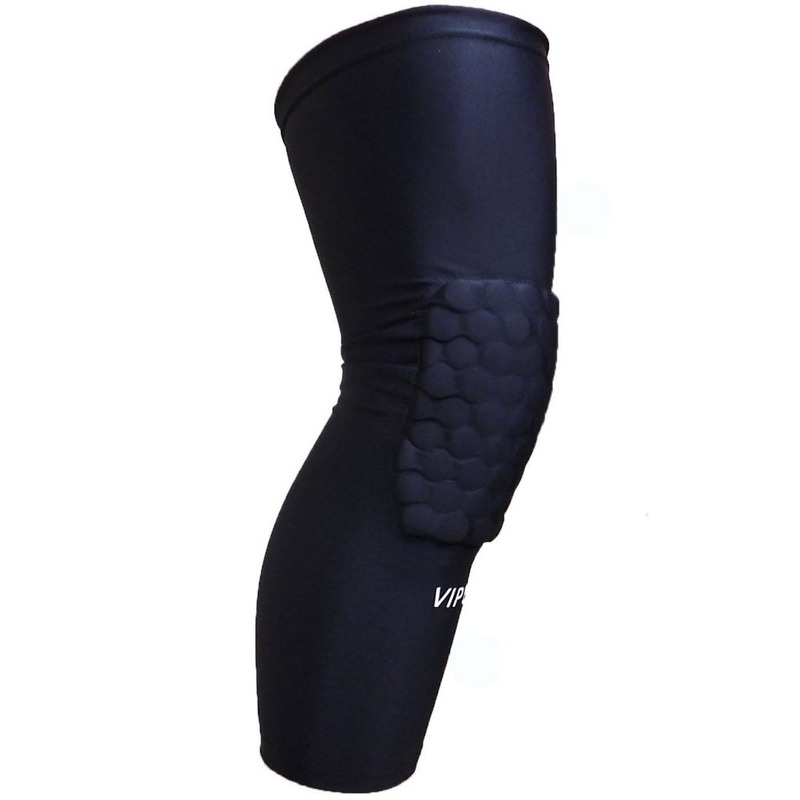 There are vent holes built into this knee pad for greater breathability and air circulation. 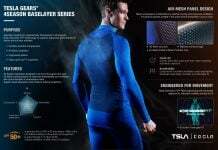 Inner terry-loop fabric helps even further in impact absorption. The Wraptor 2.0 comes individually, in a black color and about 10 sizes ranging from extra small to 2XL. Our last member of the best BJJ knee pads for 2019 is the McDavid 6440 Hex Knee Pad. With this one, you get the absolute best protection when it comes to compression and mat burn prevention. It features superior trademark Hex technology and is available in a whole host of colors and sizes. The hex technology provides this knee pad with closed cell foam padding that offers immense protection, impact absorption and support. Moisture management technology allows for very quick drying and keeps you cool while wearing it. It is completely safe for any type of washing machine. A good thing about the McDavid Hex Knee Pads is that they can also double as elbow pads if you have the need. Every purchase brings you a pair of these, available in a total of 10 different colors. Sizes range from youth, through extra small to 2X large. The fit is extra snug and particularly comfortable. The role of the knee joints in Brazilian Jiu-Jitsu is highly underrated. Most people associate knee issues with sports that take place on the feet. 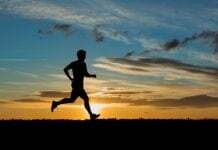 Running is one example of an athletic activity that stresses the knees. The notion about BJJ, on the other hand, is that it is safe on the knees since it’s all about ground fighting. Nothing could be further from the truth. The way that Jiu-Jitsu places stress on the knees is actually much more alarming than with standing combat sports. While it is true that your knees do not carry your weight too often in BJJ, they are always under tension. they actually have to carry the weight of an opponent, which is much more dangerous than dealing with your own weight. On top of everything, they have to do so in positions that are mechanically inferior and awkward. No wonder knee joint give way so much in grapplers. Let’s see a practical example. 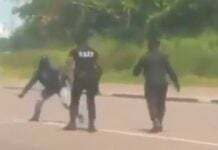 When you work form the guard, open or closed, your knees have to carry weight while constantly moving. They’ll get in very awkward situations and reach their full range of motion capacity in order to sweep to get on top. Now, you have to actually balance either standing or with your knees on the ground, in order to pass. Try knee slicing with an injured knee and you’ll see how much you take them for granted. Next holding dominant positions, like mount, side or back control requires a lot of knee use. And this is before we even touch on the subjects of takedowns and leg locks. It seems the knees are truly a crucial joint for grappling training. So crucial, that you need to know which the best BJJ knee pads are, so you can keep them safe. So why do you need the best BJJ knee pads in order to train? Some of the more obvious needs are injuries. Yet, injuries on the knees can vary a lot. For example, you could have a ligament injury, cartilage trouble or muscle issues. Perhaps you have synovial trouble or even some congenital defect. It may even be as simple as a tendency towards mat burn. 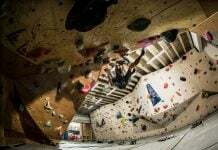 Whatever the case, you’ll need specific or overall support in order to be able to use your knees to the maximum. BJJ knee pads should tick a few boxes in order for you to consider giving them a try. After all, that’s what the best of them do. First and foremost, they need to provide comfort when you’re wearing them. No point in struggling and re-adjusting them after every roll. Next, you need knee pads that offer stability in all, or only specific directions. Other aspects you need to be careful with are material, length, padding and some individual features like fabric, color, and design. There’s also the subject of price, of course. The simpler and inexpensive options usually contain polyurethane/polyester foam for the padding and do not last too long. 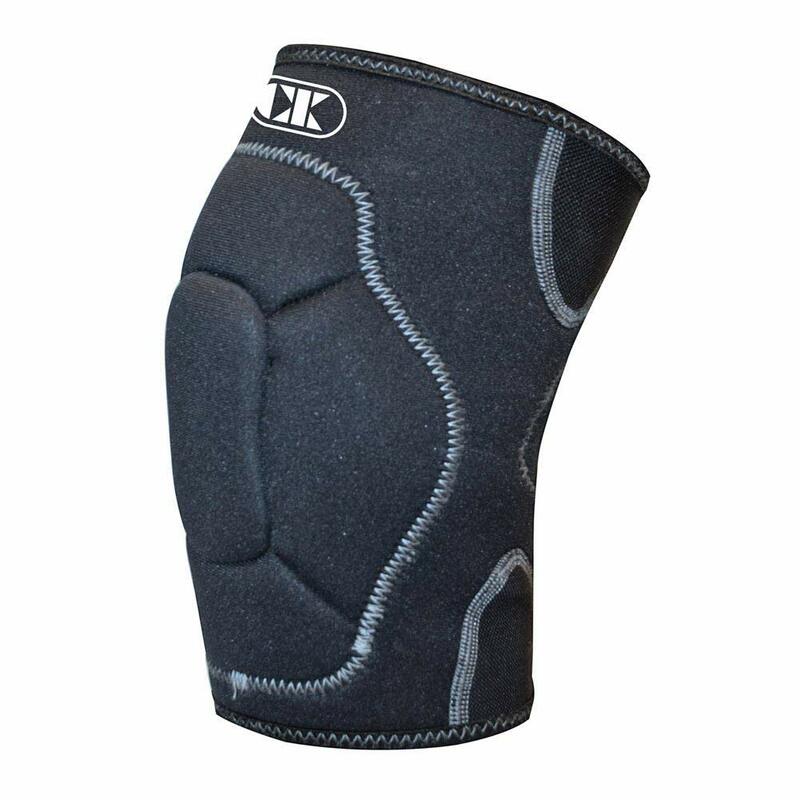 Medium quality knee pads are Neoprene ones, that offer durability and softness for the knee. Then, there’s Lycra spandex, a flexible version of knee pads that are incredibly comfortable. With knee braces, there’s added specific support and often a locking mechanism to hold them in place, as opposed to just sliding them on.